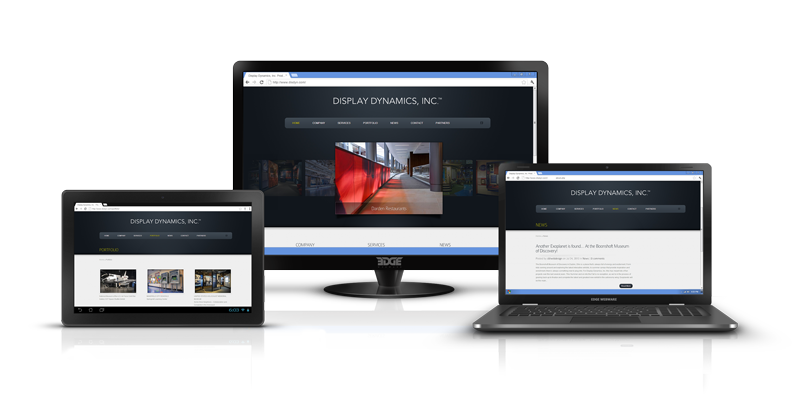 DDI - Edge Webware, Inc.
DDI decided that their previous Web presence needed a serious update. They needed a site that would actually work for them. A new site, with a great deal more functionality than their previous site was needed. Plus, they needed to be able to edit their site on their own — their previous site was built on Flash and was uneditable by them. With design updates from our partner, U! Creative, we implemented a prebuilt WordPress theme that we customized fairly extensively to acheive DDI’s desired goals. Now they can showcase their rich array of work to prospective clients. And believe us, they have done some super cool work! If your site is outdated, needs a new look, and you need it to work harder for your company, contact Edge Webware today to learn how we can take your Web presence to the next level!